It is a kind of creative multifunctional cooker. A very professional modeling tool. It can save a lot of time in the kitchen. 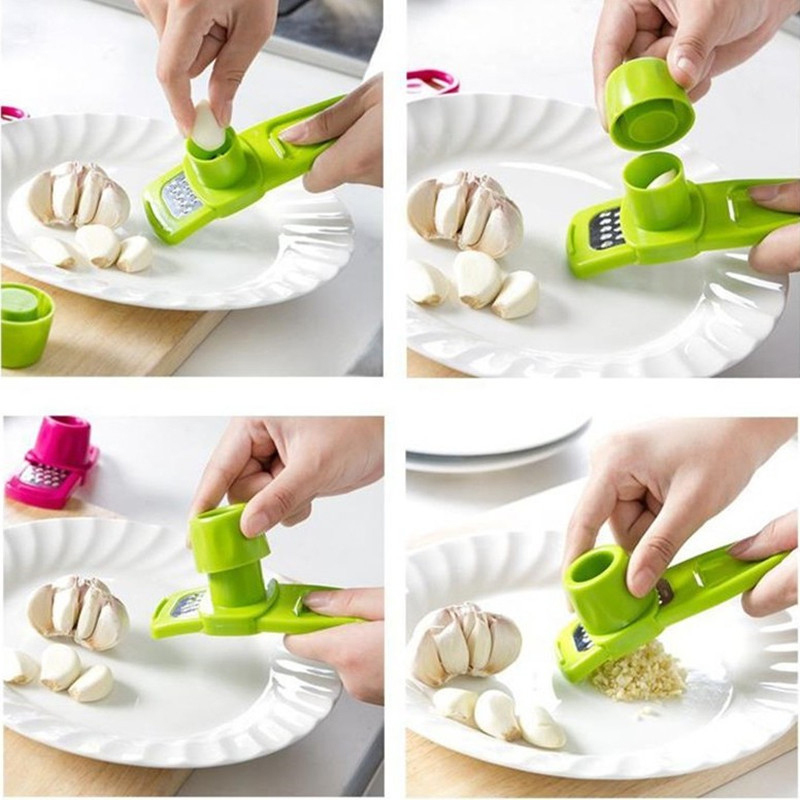 It can be used to crush the garlic and ginger. Easy to use and clean. The size is 5 1/2 "L x 1 9/16" W x 1 9/16 "H", which has green and red colors. The material is stainless steel and PP plastic. Package: 1 pc/opp bag, 500 pcs/ctn, 35 lbs/ctn.